The Diesel engines are a very popular choice, and on today markets the biggest number wins, no matter if it is about towing capability or power. 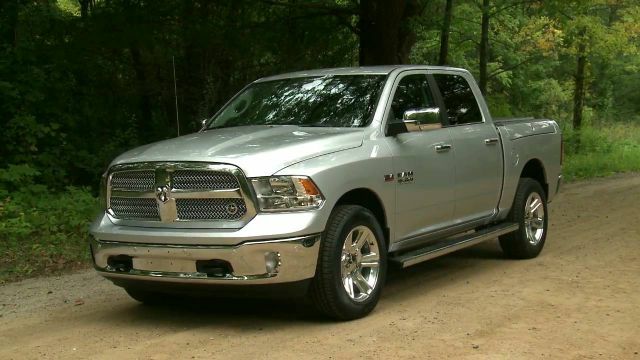 That’s why the anticipated 2019 RAM 3500HD is stepping to the scene. Firstly introduces in 2010, and updated in 2013, RAM 3500HD will hit the markets with not so many changes, but the diesel model is the biggest change for sure. 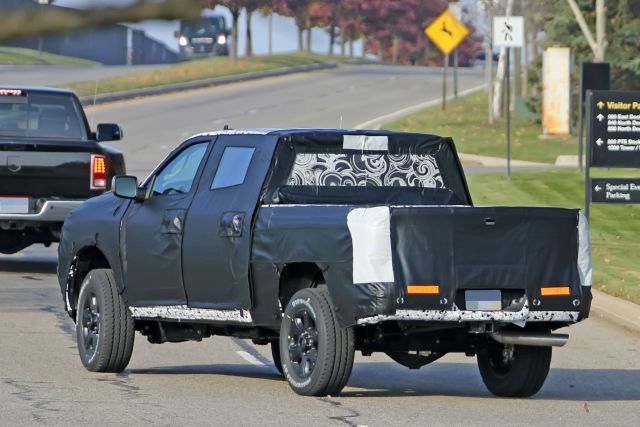 It was a matter of time when this heavy-duty model will get a turbodiesel engine, and now that time has come. It is speculated that the 3500HD Diesel will become a class leader in a number of torques, and even the fuel flow is increased. Furthermore, towing capacity is also amazing, but a good vehicle is more than the powerful engine and good tow rating. 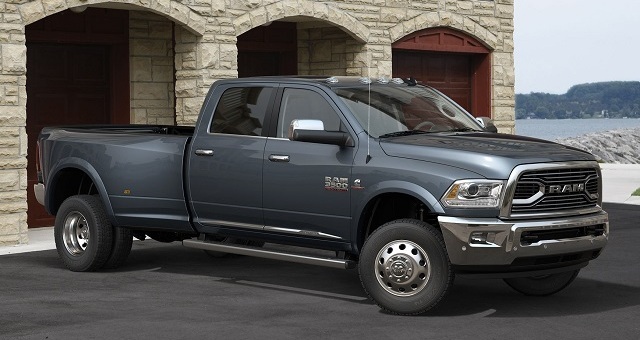 Like we mentioned before, nothing dramatically changed on RAM 3500HD since 2013. RAM discovered a winning combination with a couple of tweaks here and there. The new front grille is available on higher trims like Laramie Longhorn and Limited. 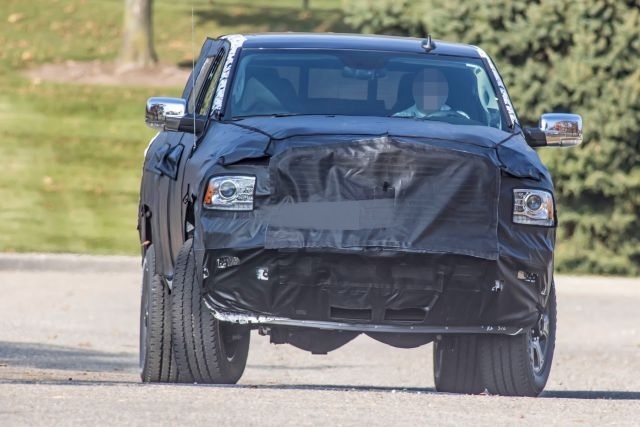 The grille comes with nostril-style openings and huge RAM lettering is in the center of it. The change of the front grille is actually the biggest change that happened here. However, the front bumper is slightly slotted for better cooling and at the back, receiver hitch comes with both four and seven-pin wiring connectors. A backup camera will reside in the tailgate handle. The interior of the all-new 2019 RAM 3500HD is unchanged. The design perhaps looks out of date, but the functions in the cabin are more than competitive. All the controls, screens and even an optional 8.4-inch Uconnect system are updated. However, the luxury is available on higher trim levels, and the base trim doesn’t have much to offer. Vinyl flooring, some basic features, and small driver information screens are the highlights of the base model. 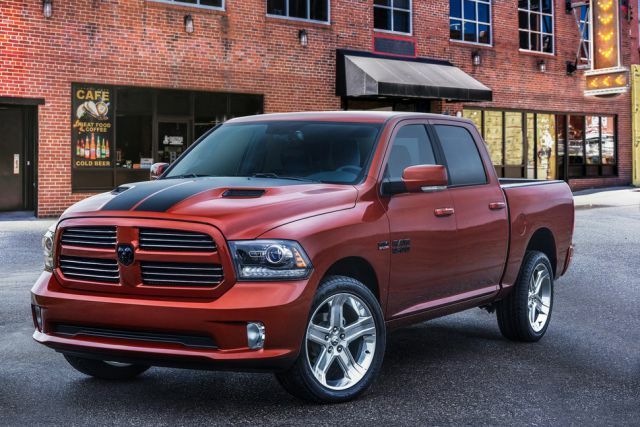 The Big Horn trim comes with several upgrades, but the mid-trim Laramie is perhaps the most popular choice. It offers leather sits and plenty of other luxurious amenities. The top-range Limited model comes with plenty of wood materials even on the dash and steering wheel. Colored leather seats are standard, and basically, all options offered are packed in Limited trim. The biggest news for 2019 RAM 3500HD is a new Cummins 6.7-liter six-cylinder turbodiesel engine. Officially, the Cummins powertrain can burst up to 390 HP and amazing 930 pound-feet of torque. RAM and Cummins worked together on this improvements using a higher-flow fuel delivery system. This unit is available with the six-speed automatic transmission. Diesel engine comes with both rear-wheel drive and all-wheel drive system. Speaking of towing abilities, the 2019 RAM 3500HD can tow up to a class-leading 30,000 pounds thanks to a new fifth-wheel hitch. This hitch is specifically designed for this model and it is removable as well. 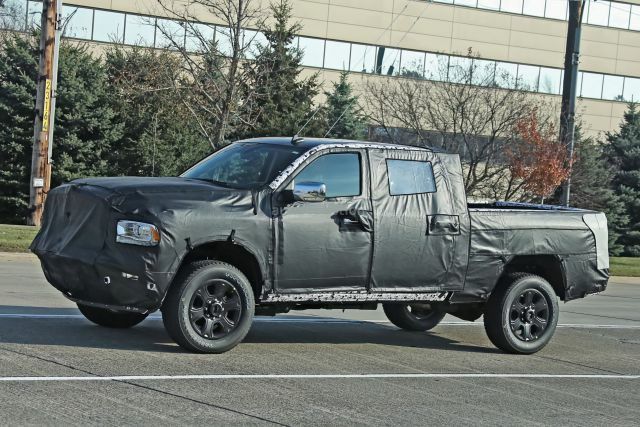 RAM is still refusing to release the pricing for the new 2019 3500HD. But we can assume that the price will not change much at all. Starting price for the base model will probably remain the same as before, around $33,000. Of course, turbodiesel is the most expensive option and it will cost additional $9,000. So, if you opt for a diesel model, you’ll have to pay over $40,000. RAM 3500HD Diesel will hit the dealerships at the beginning of 2019.